Nicaraguan strongman General Anastasio Somoza is making room for the modern jets sent down by his Cold War ally, the United States. Will Martin, a 34-year-old civilian pilot, has just suffered the loss of his family business in Chicago and is looking to make a fresh start. 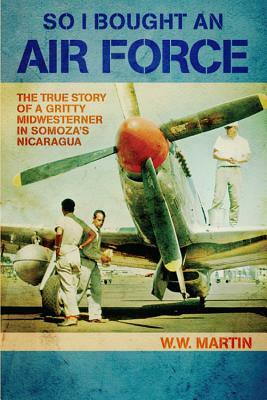 So I Bought An Air Force is the wild but true tale of how Martin buys the Nicaraguan Air Force's fleet of P-51 Mustangs, F-47 Thunderbolts, and C-45 Expeditors and his struggles to get his planes back up to the U.S. With stunning color photographs from the author's personal archive, "So I Bought An Air Force" gives the reader a vivid look at the rough-and-tumble world of 1960s Latin America from the cockpit of some of the hottest American aircraft ever built.